You’ve taken the first step already! The following information is to assist you in the process of joining the Catholic Church. Though the Catholic Church is considered one universal body, there are many church “Parishes” within a diocese. The word “Parish” in this sense is not a civil parish, but a church that is responsible for a certain geographical area. 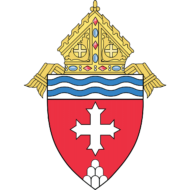 There are forty-eight church parishes within the Diocese of Memphis! The best way to enter into the Catholic Church is to find a church parish where you feel comfortable. It is preferable for you to attend the parish that is closest to your home, but this is not required. You will notice each church parish has different Mass times and programs offered. Perhaps you have friends that attend a church parish further from your home…if you think another parish is a better fit for you and your needs, by all means choose that one! Once you’ve selected a church parish, introduce yourself to the priest/pastor at the parish. He will be very instrumental in guiding you through the necessary steps for coming into the Catholic Church. Call the church office to make an appointment to meet with the priest/pastor. Most parishes have a program called RCIA (Rite of Christian Initiation for Adults). In this program, adults learn about the Catholic Church, ways to develop their spiritual lives, and are integrated into that parish family. The RCIA program typically consists of weekly meetings at the church with a small group of other adults and led by the priest, deacon, or catechist (someone trained to teach). The program is free of charge, but some parishes my request you purchase a workbook. There are no tests or exams, but the more you read the material and participate in the discussions, the more you will benefit from the program. I was baptized in another religion; will I be baptized again? The Catholic Church believes in only one baptism. Generally speaking, if you were baptized with water in the Trinitarian formula (meaning the minister said “I baptize you in the name of the Father, and of the Son, and of the Holy Spirit”), the Catholic Church recognizes that as a valid baptism, so you will not be baptized “again.” However, if (for example) the minister used water and only said “I baptize you in the name of Jesus,” the Catholic Church would not recognize that as a valid baptism and you will be baptized. In the RCIA program, you will be asked to provide a copy of your baptismal certificate from the church you were baptized in. There may be cases where that is not possible (i.e. records destroyed in a fire), but know there are processes for those cases. The RCIA program, generally speaking, lasts from September through Easter and you are brought into the Catholic Church on Holy Saturday (the evening before Easter Sunday). “Why does it take so long?” and “Why is everything so formal?” you may ask. The Church believes this program is needed to ensure you are well prepared and understand the wonderful graces received when you enter fully into the Church. There are exceptions to this norm and can be discussed with the Pastor of the church parish you choose. The Catholic Church has been in existence since the time of Jesus and takes the responsibility of caring for your spiritual life very seriously. Becoming Catholic is meant to be a lifelong commitment and we want to ensure you understand the process, the Mass, and are able to fully receive the Sacraments the Catholic Church offers you. I have more questions. Is there someone I can speak with about how to proceed? We want you to feel comfortable and provide assistance as you make this important step in your journey, so for additional questions please contact the Catholic Center (901) 373-1200. We are available to assist you by answering more specific questions, help you find a church parish that is closest to you, or help guide you along as needed.